As Matthew E he fashions club-based, dancefloor slayers. Under that aegis he’s updated the classic Chi-town, jackin’ sound beloved of house aficionados and layered it with fractured funk, belligerent, oddball beats and mechanical soul. If Matthew E is all about the Saturday Night Fever, then, by contrast, Rekid is the slower, more deliberate, rhythmical funk of the mid-week mayhem. Its well-intentioned muscular intensity making it perfect soulful sustenance. Quiet Village is something else all together. A collaboration with long-time musical sparring partner Joel Martin (a vinyl freak, like Mr Edwards, who works in esteemed auction house Christie’s pop department), it’s sample-based music which veers from drawn out disco-not-disco delirium to evocative, under-stated soundscapes. Sea Devils - you keeping up at the back? – is undeniable electronic pop brilliance. Working with Tom from Cagedbaby, it’s the least niche of Matt’s projects and thanks to Sea Devils alluring pop dance grooves they’ll no doubt be shagging the upper reaches of the hit parade sometime soon. Last, but by no means least etc, etc, etc, is Radio Slave. Perhaps Matt’s most instantly recognisable nom de guerre, thanks in part to his inspirational melding of Kylie’s Can’t Get You Out Of My Head to New Order’s Blue Monday, this is Matt’s DJ moniker and the guise under which he completes his incendiary remixes and re-edits. However, before such sonic schizophrenia gets you calling for the men in white coats, just feel the quality and consider Matt’s legacy. Fired by the first wave of acid house, Matt gained his musical spurs by partying to dance music that was just that: music you danced to, irrespective of tribal factions. This was the raison d’être he acknowledged when he took to the decks, first at London’s legendary Milk Bar in 1992, then onto the, then, recently opened Ministry Of Sound and then to parties across the country, most notably in Wales – where he was a regular at free parties – and in Brighton, his home since 1998. 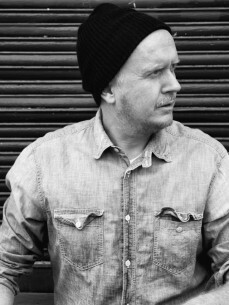 His love of re-edits, dance music’s oft-forgotten backbone, led Matt into the studio himself. His own re-edits and remixes, such as the aforementioned epoch-defining re-imagining for Ms Minogue, soon gave way to his own productions and since the floodgates opened there’s been no stopping the man known as, erm, Matthew E, Quiet Village, Sea Devils, Rekid and Radio Slave. He’s released records for Skint, Soul Jazz, Classic, Whatever We Want, and he’s worked with fellow travellers, Belgium’s The Glimmers. If Matt comes up with another two projects he’ll have enough alter egos for every day of the week.